The eGo II 2200 battery with the Lumia Edition print is a reinforced and sturdy staple piece in the battery genre. It has a standard 4.2-3.7 voltage output when full charged and decreases in output as the battery life drains. Its a perfect addition for those who use clearomizers and atomizers with ohms between 1.2 and 2.8. The battery gives a consistent flow of power keeping a balanced and constant hit of satisfaction. There's no surprises or gimmicks with this battery. Just hold down the power button to inhale. 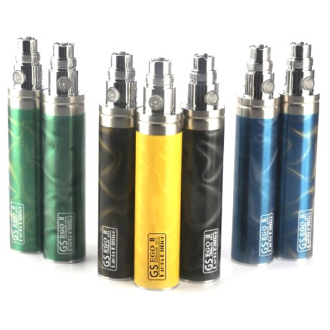 It keeps the classic feel and look of the original eGo batteries with a slightly rounder rump to house an impressive battery life of 2200mAh. Note: Never leave batteries unattended while charging.